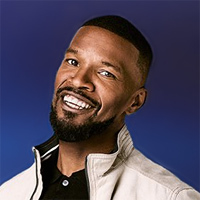 Unpredictable is Jamie Foxx’s second studio album and his first in over a decade. It was released on December 27, 2005 in the United States under J Records. It debuted at number 2, selling 598,000 copies in its first week. The following week, the album rose to number 1, selling an additional 200,000 copies. 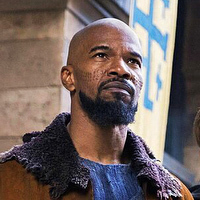 The album made Foxx the fourth artist ever to have won an Academy Award for acting and to have achieved a No. 1 album in the US. (The other three to accomplish this feat were Frank Sinatra, Bing Crosby, and Barbra Streisand.) Unpredictable has sold 2 million copies in the United States, and was certified double Platinum by the RIAA. The album also charted on the UK Albums Chart, where it peaked at number 9. 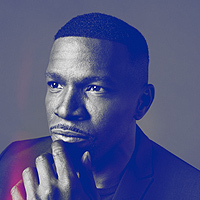 Jamie Foxx co-wrote six songs on the album, including “Heaven” and “Wish U Were Here.” Produced by Babyface, “Heaven” is dedicated to Jamie’s daughter, Corinne. “Wish U Were Here” pays tribute to his beloved grandmother who adopted and raised Foxx. Jamie went on tour across USA and Canada in support of the album. Visit our gallery to see the photos from the tour. Four singles were released from the album, the title-track “Unpredictable”, “DJ Play a Love Song”, “Extravaganza” and “Can I Take U Home”. Foxx’s first single from the album, the title track “Unpredictable” was released on October 18, 2005. The song features rapper Ludacris and samples “Wildflower” & “Wild Flower (Suite)” by New Birth. The single has been certified Platinum by the RIAA. The music video directed by Hype Williams was released on November 28, 2005. The second single from the album was “DJ Play a Love Song”. The song features rapper Twista and was produced by Polow da Don. The single has been certified Gold by the RIAA. The music video for “DJ Play a Love Song” was released on March 15, 2006. The Paul Hunter-directed clip features cameo appearance from America’s Next Top Model winner Eva Pigford. “Extravaganza” was originally set to be the first single in Foxx’s album, Unpredictable, but was pushed back in favor of the title track. The track was one of the first songs leaked off the album before its release date, under the original title “One Night Extravaganza”. However, the song was only released as a single in the UK and Australia in June 2006. The single version include also the song “Don’t Know You Anymore”. The music video was directed by Paul Hunter. 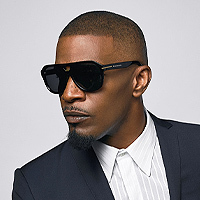 “Can I Take U Home” was the fourth and final U.S. single from Jamie Foxx’s second album, Unpredictable. It was not released outside the U.S. The official remix features rapper Chamillionaire.